Vivo today unveiled the new Vivo X21, its latest flagship with In-Display Fingerprint Scanning Technology, which is the first of its kind to be used on any smartphone. 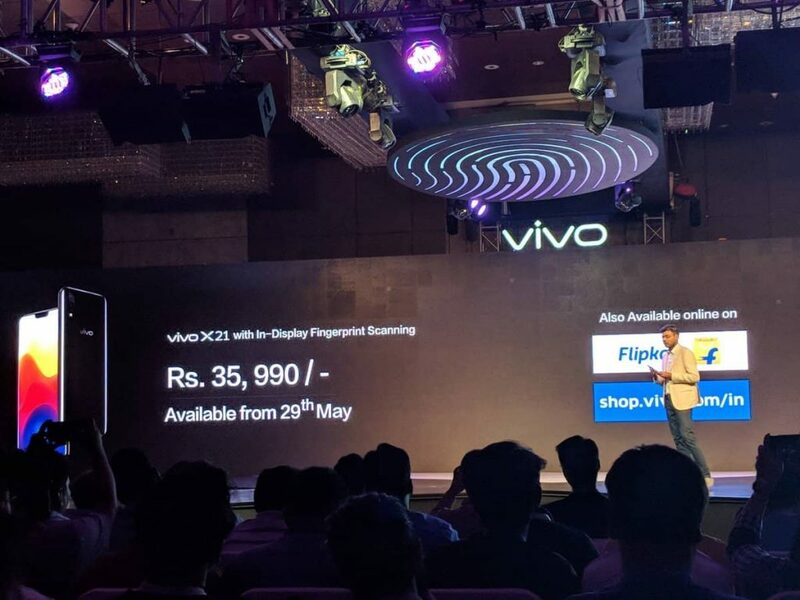 The Vivo X21 has been priced at Rs. 35,990 in India and will go on sale starting from May 29, 2018, via retail stores. However, the phone will be available via e-commerce portal Flipkart and Vivo’s own e-store with exciting launch offers. Vivo has been placing the fingerprint scanner on the back of the phone, but now with In-Display Fingerprint Scanning Technology, Vivo has reduced the bezels to a minimum level and has placed the fingerprint scanner under the display. On the screen, as soon as the user places his thumb, the OLED display gets activated to illuminate the finger. The optical fingerprint sensor under the OLED display recognizes and captures the reflected light from the unique fingerprint pattern which is processed by the sensor for authentication. And in this way, Vivo completely omitted the need for a separate space needed for the fingerprint scanner. Apart from the in-display fingerprint scanner, the Vivo X21 features a huge 6.28-inch FHD+ Super AMOLED FullView Display with 19:9 aspect ratio and very small side bezels as thin as 1.66mm, protected by Corning Gorilla Glass 3. This offers a 90.3% screen-to-body ratio for a better viewing experience. There is a notch on top of the display which houses the front-facing camera and sensors, and for that notch, Vivo has customized the FunTouch OS 4.0 build on top of Android 8.1 Oreo to provide notch support and develop an optimized notification bar for a seamless experience. To provide accurate, natural and saturated colors, the Vivo X21 integrates P3 display color management technology and supports a P3 wide color gamut. 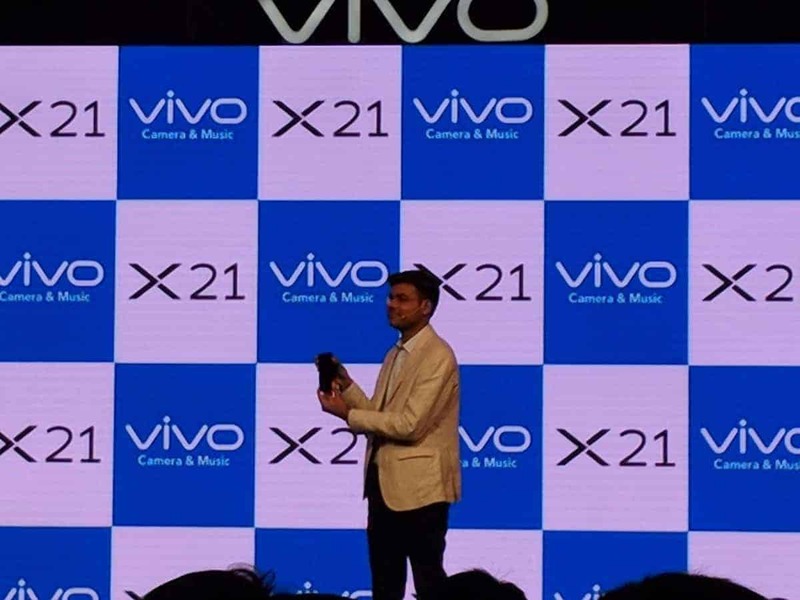 In terms of camera, the Vivo X21 is equipped with 12MP+5MP dual rear camera setup on the back with f/1.8 aperture and LED flash whereas there is a 12MP front-facing camera with f/2.0 aperture. On both the front and rear cameras, the Dual Pixel Sensors helps in improving focus speeds and provide better picture clarity due to a larger pixel count. It is also beneficial for photos taken in low lighting conditions. The camera supports various modes like Slow Motion, AI HDR, Timelapse, Portrait Bokeh (Dual Shot), Shot refocus and more. The Vivo X21 is powered by a Qualcomm Snapdragon 660 octa-core CPU clocked at 2.2GHz, coupled with 6GB RAM and 128GB onboard storage. The phone also features a Hi-Fi audio chipset to provide a superior aural experience. Using Deep Field technology on the Vivo X21 users can experience panoramic surround, mega bass, clear voice effects, and various environmental audio effects. 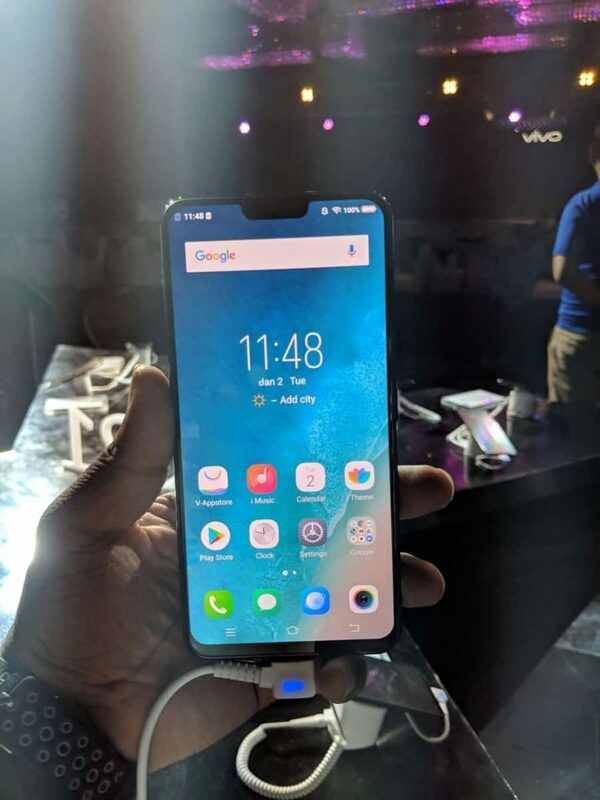 Connectivity options on the Vivo X21 include 4G with VoLTE, dual-band Wi-Fi (2.4GHz and 5.0GHz), Bluetooth 5.0 and GPS/GLONASS, there is dual SIM support using the hybrid tray which can house two nano SIM cards or one nano-SIM and one microSD card for memory expansion. The phone packs a non-removable 3200mAh Lithium-Ion Battery. The phone will be available only in a black color variant. Next articleHow to Bypass Admin Password on Windows 7 Computer?